Today marks the first day of AlphaCamp for a new hire class. I arrive at work, excited and ready to lead a week of training sessions that PD has been prepping for the last few weeks. I get in early to greet the new joiners in the kitchen and get them settled in for their first session. Though I’ve overseen and delivered upwards of twelve AlphaCamps at this point in my role, I never tire of seeing the new hires’ faces when they walk into the office for the first time. They’re always impressed by the office, their new fellow colleagues, and the senior leadership they meet right away in training. The first session of the day is an introduction to AlphaSights led by PD. I give an overview of the company and how we envision expanding in the future, especially in the rapidly-growing Asian market. It’s hard to describe the energy in AlphaCamp; each new joiner always has a “wow” expression on their faces, especially when we start talking about the number of applicants who applied, the percentage who were hired, and AlphaSights’ rapid growth and results in Asia. One time I introduced a company initiative and a few people started clapping. That’s when I know that our new hires have really bought into AlphaSights’ vision and value and I’ve communicated the right message. Over the past few weeks, I’ve worked with various departments across AlphaSights (HR, tech, office experience, client protection, business unit leaders) to ensure that the onboarding process is as seamless and smooth for the new joiner class as possible. I really appreciate that senior leadership take time out of their busy schedules to come train the new colleagues and welcome them to the business. It’s great for the new hires to be exposed to senior management right out of the gate when they first join. In addition to running AlphaCamp throughout the day to ensure that every session is on time and running smoothly, I also dedicate time to Training the Trainer (TTT) sessions. Once an employee has worked about a year at AlphaSights, they get new responsibilities including training a new client service team (CST) hire. I work with CST associates to give them the tools they need to be effective trainers including when to be patient, when to step in, and how to deliver positive and constructive feedback. I also begin to schedule roundtable feedback sessions for a few weeks in the future after the new hire have been trained for a few weeks. These follow-up sessions are important to assess how applicable PD’s training sessions were in real life and walk through examples on a case by case basis to improve various situations. After I deliver a few TTT sessions, I return to my desk to start planning for an upcoming manager offsite for one of the Asia offices. The Asian region has the most AlphaSights offices, one in Hong Kong, Shanghai, Seoul, and Tokyo, so it’s important for PD to provide attention and customized support to the different offices based on their cultural, growth, and developmental needs. 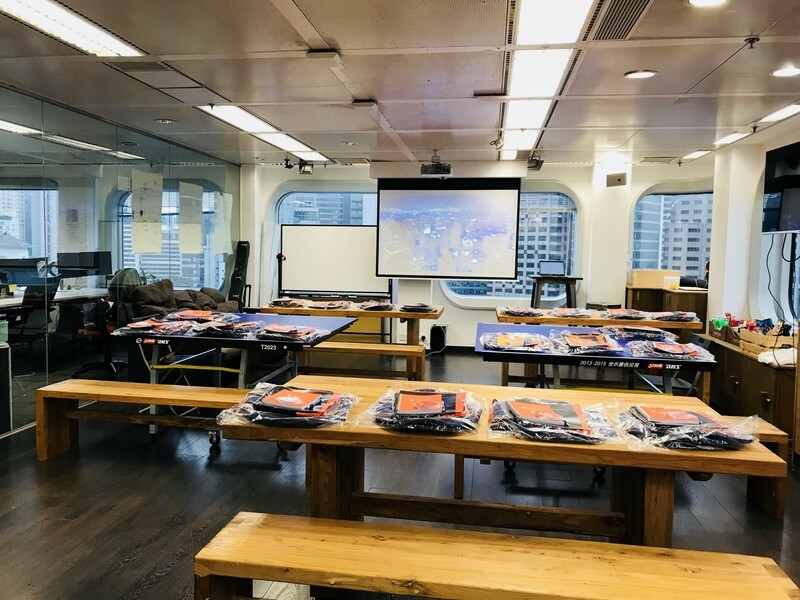 The Shanghai office just had their biggest manager elevation class, so I spent some time planning various training modules and activities around building a strong manager cohort, before heading out to grab some lunch. This afternoon, I have a few one-on-one advising sessions for associates and managers. Each session is confidential and tailored to the specific person I’m meeting with. One of the things I like most about working on PD in Asia specifically, is that we have a smaller amount of people in each office, so I know each colleague by name, understand their personal story, and can be with them throughout their journey with AlphaSights. This level of personal interaction also allows me to customize each 1:1 to address pain points and offer guidance and suggestions that is relatable, specific, and applicable to the individual. Many other companies take a “one size fits all” approach and conduct overarching training sessions for the whole company. But here, I love how I’m given the autonomy to personalize sessions while still following a training curriculum in order to address the person’s specific need. When I first started on PD, our general approach was mostly reactive. Due to our proactive company culture where everyone is eager to learn, employees continuously come to PD asking for skills development and advising sessions on specific topics. We delivered different training sessions as they came to us for a while before realizing this approach wasn’t scalable and was too repetitive. So the PD team began building out various training curriculums based on different topics such as a feedback, leadership, and more. Now our team is equipped with more tools and training curriculums but can still personalize each session by using specific example cases related to the area a team is struggling. My first 1:1 session today is with an associate focused on how to effectively and respectfully give and receive upward feedback. Feedback is one of the most popular topics PD receives because it’s a large part of AlphaSights’ culture. Transparency and continuous development is highly emphasised and encouraged here, so a key aspect of my job is to empower and equip our employees with the tools they need to achieve their personal and professional goals within and beyond AlphaSights. The joy to see employees incorporate skills they learn from our training sessions and tell us that PD is a valuable resource to their development no matter the career track they decide to pursue is hard to match. As professional development is a global team, I’ll be staying in the office a little later tonight for our weekly team catch-up with colleagues in New York and London. We catch up on current projects we’re working on and help each other in any way we can. 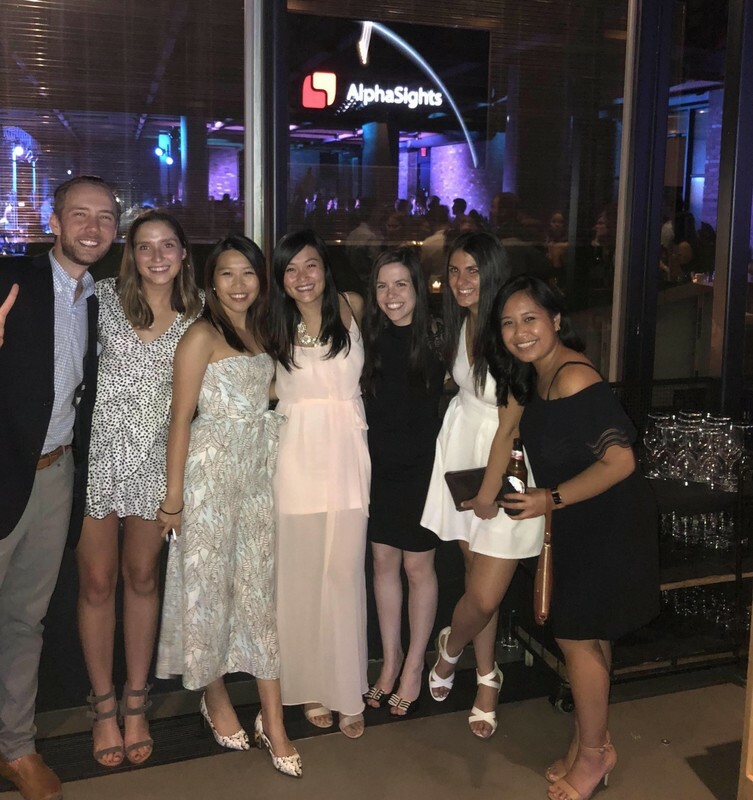 One thing our team holds pride in, is the consistency we provide our employees regardless of geography throughout their talent life cycle — from onboarding, to ongoing training, to elevation, to being an AlphaAlumni. By the end we’re all talking about how excited we are for our next offsite together; this time it’s in New York! After our catch-up, I head home for the evening. Though this was an example of a day on PD, my favorite part of my role is that there really isn’t one standard daily routine. Each day brings something new and exciting because our work is dependent on other teams at AlphaSights and what they need to succeed. Vegas graduated from Washington University and currently works on the Professional Development (PD) team at AlphaSights’ Hong Kong office.